Uhm, false.. It’s the world’s best cup of coffee! 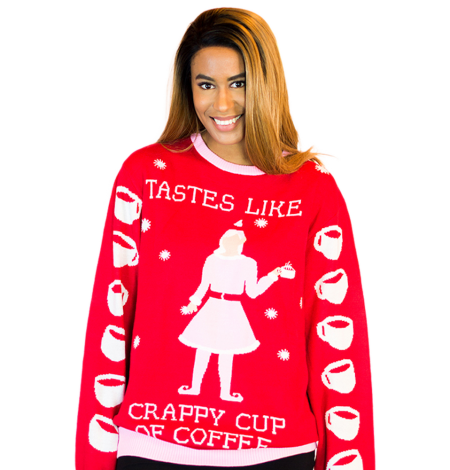 Even if the coffee isn’t everything Buddy hyped it up to be, this ugly sweater will make you feel that jolt of energy you’re looking for. 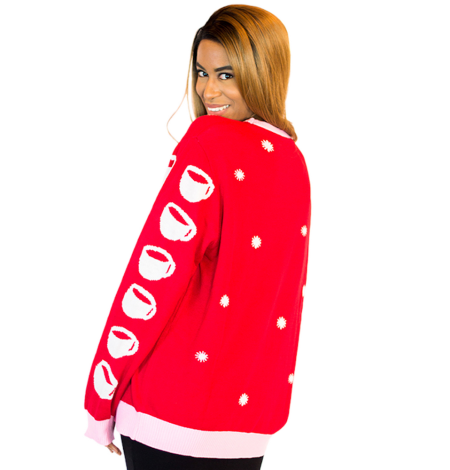 With Jovie on your sweater, you’ll be singing loud for all to hear all season long.